We are looking forward to another sale on August 6th, 2017. Please continue to visit our website , as new pictures and videos will be added daily. Phone bids will be accepted. Please call (605)375-3481 to set up a number for a phone bid. Also, the sale will be available on the internet. 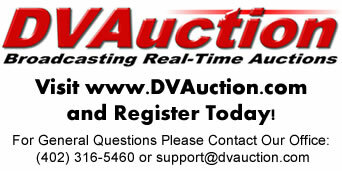 You will be able to view or buy on the internet via DVAuction. Please click on the link below to register and view the auction. Sale located at Price Family Ranch: 11120 Mackey Rd; Buffalo, SD. Along with the Price Ranch horses being offered, we also have a few additional guest consigners. The Crago Ranch is offering approximately 15 head of riding horses, yearlings and weanlings. Sale will also include 20 head of horse from guess consignors. The sale will be located at the Price Family Ranch, 30 miles southwest of Buffalo, SD. There will be over 110 horses in the sale, including over 50 from the Price Family Ranch. There is a wide variety of breeding and talent that will be offered in this sale. As a ranching family from Buffalo, SD, we pride ourselves on raising horses that are and can be used in all aspects of our operation. We have 10 brood mares, and many of these mares were used as ranch and arena horses prior to producing colts. We raise our horses to use them. The bloodlines of our mares and sires are those of speed, agility and cow. The horses that we raise are used for a variety of jobs, from the ranch to the arena. We would be happy to answer any questions that you have regarding our horses or the sale. You can either contact us through the website, or call (605)375-3481. This website will continually be updated until the sale date, please visit again to see more horses, papers, pictures and videos.